Sky sports now showing Chinese football, no idea what the standard is like but its likely to get a lot better over the next few years! An update on some of the big name players already out there. Hopefully, you have it pretty bad when even China aren't coming in for a big name player! Their transfer window is shut isn't it? I have had a few bets on league games (bet365) and therefore watched the games. It's really boring but the squeals of delight from fans would have you believing it was hectic end to end stuff. Without a bet I'll never watch it. How does Sven keep getting these big money jobs in sh*t leagues or with sh*t international teams? One of footballs greatest chancers. Still living off that 5-1 demolition of Germany or shagging Ulrika!! And just in front of Fat Sam. Watching a game atm, no idea what the teams are called but it's Guarin & Martins vs whoever Teixeira plays for. This is so f**king boring! You'll get a few goals in a Shanghai Shenua game (over 2.5 nearly always guaranteed anytime I've bet) but it's poor football alright. 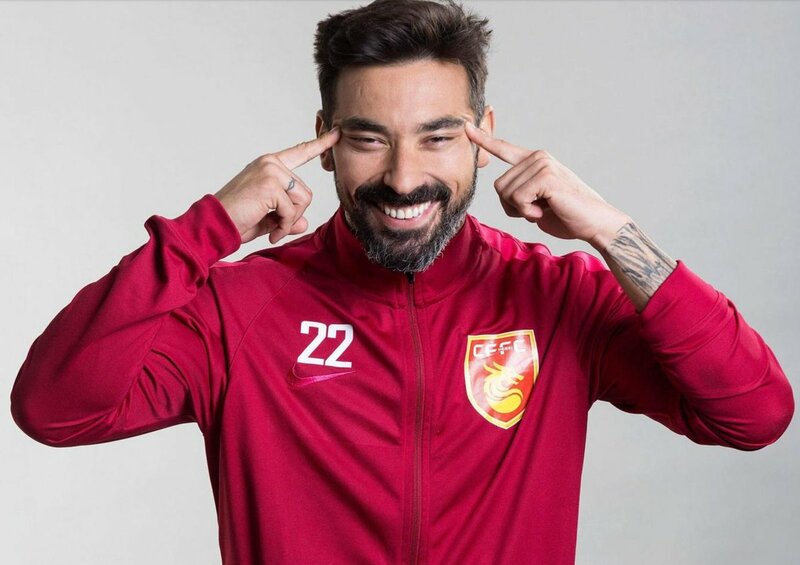 Ezequiel Lavezzi has apologised after pulling a face to mimic Chinese characteristics during a promotional campaign for the Chinese Super League. The Argentine, who joined Hebei CFFC from PSG in a big money deal last year, was pictured making the gesture while in team kit, and both the player and the club released statements in an attempt to diffuse the situation. "Per the request of the Chinese Super League, we took the official photos for the season," he said in a statement issued on Sunday. "We were given instructions by the official photographer and I was trying to make some interesting photos by making some funny faces, which would be used afterwards for entertainment purposes. "I had no intention of insulting the Chinese people and did not do it with any bad intentions," the 32-year-old added. "I'm very happy to be here as part of the Hebei club. I have had great time here with my team mates and it has been a great journey. Every Chinese person around me is friendly and I love my life here. Lavezzi joined Hebei in February last year in a deal reported to be worth around £8.5million per season, but his involvement in his first year with the club was curtailed due to injury. He has been in impressive form in recent weeks, however, and scored in a 1-1 draw with Guangzhou R&F on Friday as Hebei, coached by former Manchester City manager Manuel Pellegrini, moved up to fourth in the Chinese Super League standings. "Since joining us at the beginning of 2016, Lavezzi has been getting along very well with the team and been loved by fans too," said Hebei, who also denied the pictures had been officially released by the club. What an ignorant b***ard, seriously, how stupid. 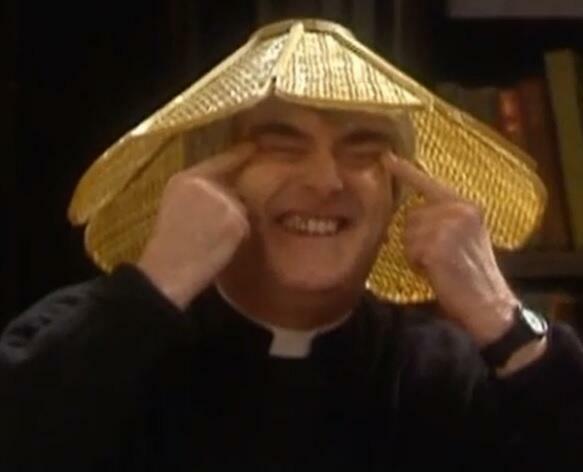 He must of been watching a Father Ted dvd before the photo. I saw his apology on Youtube. Ah but, the REAL point is, were the public offended or was twitter offended?